Welcome to Expediter Truck Sales! Are you ready to make the commitment to your business and purchase your own truck? 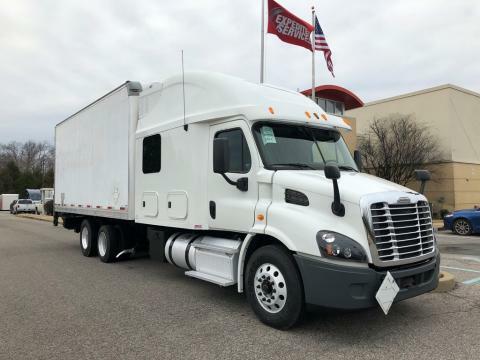 For many new expedited contractors, buying a reliable used truck is the sensible way to enter the expedited freight business as an owner-operator. Expediter Truck Sales is here to help you with one of your most important business decisions - the purchase of your truck. Please take a moment to view our inventory and feel free to call with any questions. Allow us to show you the dollars and sense of purchasing your expedited truck from Expediter Truck Sales! And please visit our POD's (Proof of Deliveries) to read our success stories.